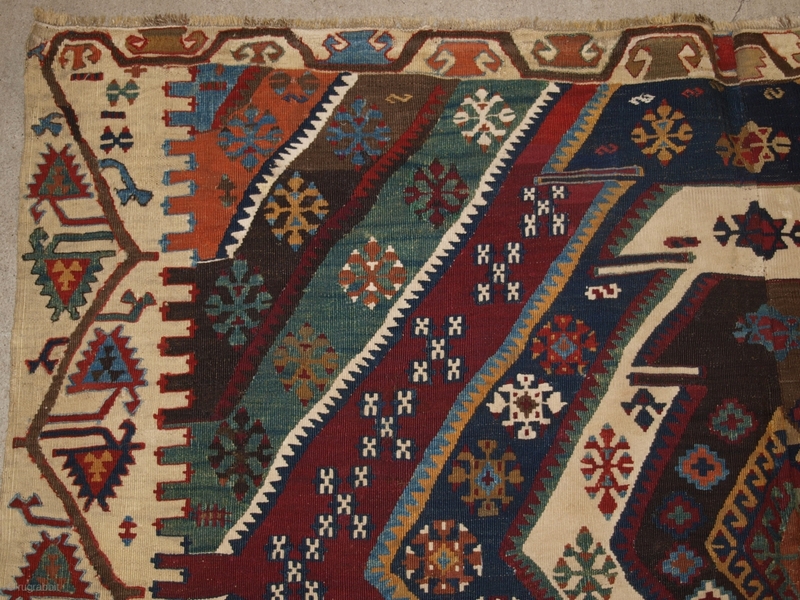 Antique Turkish Malatya kilim with excellent design and colour. www.knightsantiques.co.uk Size: 11ft 6in x 5ft 5in (350 x 164cm). Late 19th century. 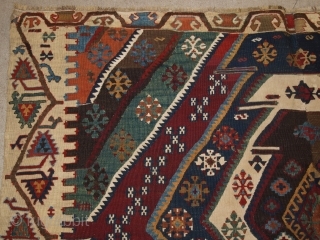 This kilim was woven in two parts on a narrow loom and then sewn together, this is why the design and colour is very slightly different on each side. This adds to the visual impact of this kilim. The colours are outstanding and the ivory ground border is beautifully drawn. 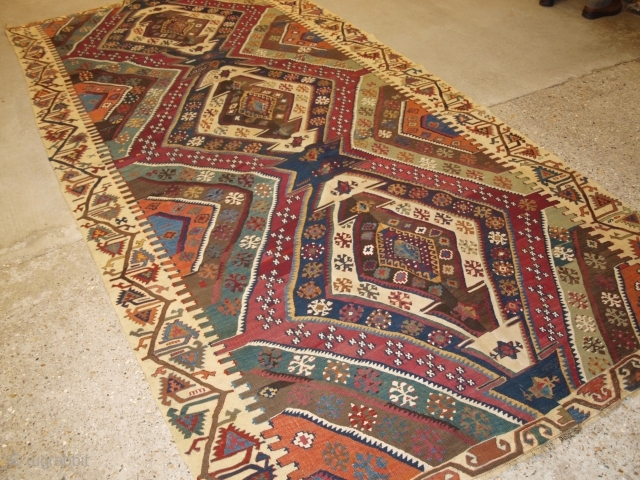 The kilim is in excellent condition with very slight wear and no damage. The kilim is suitable for normal domestic use. The kilim has been hand washed and is ready for use or display. Stock Number: r-1640.